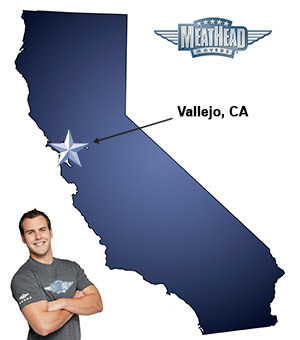 Whatever your moving needs may be, Meathead Movers will help you feel at home in Vallejo. Our professionally trained student-athlete movers and our moving concierge will be with you for the entirety of your move. Welcome to Meathead Movers of Vallejo! If you are moving to or from anywhere in Vallejo, we are the moving company for you! Our professionally trained student-athlete movers and our moving concierge service are here to help you with every stage of your move. Located in Solano County, Vallejo is a vibrant and alluring small town. Known as the Thrill Capital of northern California, there is plenty of opportunity for fun and excitement. For a day of family fun and adventure, visit Six Flags Discovery Kingdom, a giant theme park filled with spine-tingling attractions, fascinating shows, and up-close animal experiences. Vallejo is also home to scenic hiking opportunities in places like Blue Rock Springs Park and the Bay Ridge Trail for those who enjoy the outdoors. There are also many festivals, museums, and galleries dedicated to the arts. The city offers many enticing shopping and dining opportunities, including a weekly farmers market on Georgia and Marin Streets. If you are considering a move to this thrilling city, Meathead Movers is here to help! Our moving company specializes in local, long distance, and commercial moves. We also provide reliable packing, storage, on-site relocations, and our distinctive concierge service. All our student-athlete movers are thoroughly screened and trained before their first move. With branches not just in Vallejo, but all throughout California, we are a one-stop resource for all your moving needs. Read our reviews to see what your neighbors have to say about us! We are so confident in our services that we even offer a 100% satisfaction guarantee. So what do you have to lose? Contact Meathead Movers today for a free moving quote and learn how we can help you on your next move. Moving to Vallejo? Here are some helpful resources. Sean and Ryan were very friendly, efficient, and accommodating. Couldn't have asked for anything more!